Dispersion/emulsion silicate paint for facades according to VOB/C DIN 18 363, section 2.4.1.; double silicifying. 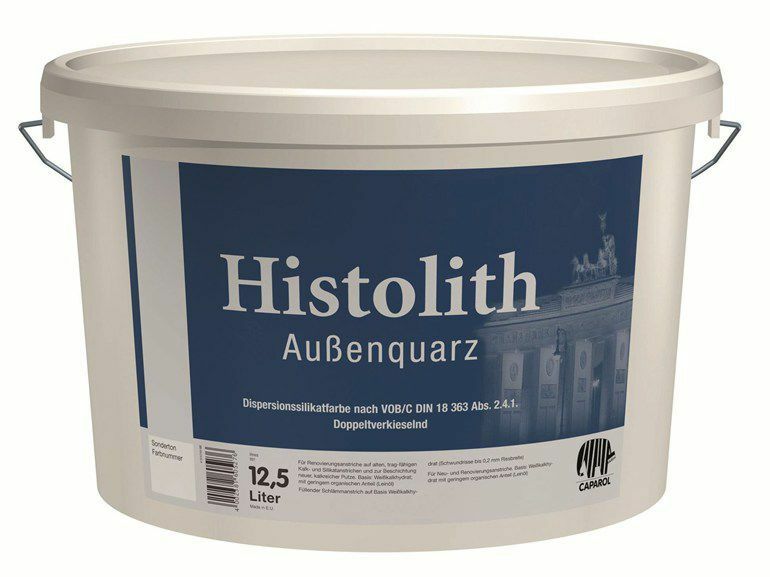 Histolith® Außenquarz is suitable for highly weather-resistant, non-fading facade coatings with advantageous physical properties. Highly permeable to carbon dioxide. Contains quartziferous, silicifiable additives, hence double-silicifying. Reaction to fire: Non-combustible according to German standard DIN 4102. Potassium silicate, non-fading mineral pigments, mineral fillers, acrylic resin (< 5 %).